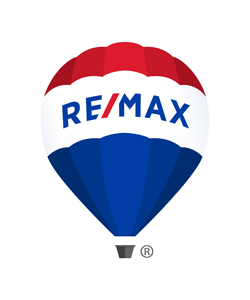 RE/MAX Advantage partners and vendors are companies offering services that compliment our services. Lenders go to great lengths to assure themselves that they have minimized the risk on loans they make. They check your credit, your ability to pay, then they go a step further. They make sure that the property upon which they are about to lend money is free of title defects. They do this by ordering lender’s policy of title insurance. This policy protects them against loss due to title defects. It also protects their interests from certain matters which may not be known at the time of sale. A home inspection is a visual inspection of the property, typically done for a buyer prior to purchasing a property, but after the signing of a Buy & Sell Agreement. Pest inspections are an important part of purchasing a home. A typical sales agreement usually will provide the opportunity for a buyer to obtain an inspection for active infestation of wood destroying insects. Typically, purchasing real esate requires some sort of financing. Finding the right lender can make a significant difference in the cost of that financing over time and the service supplued by the lending institution. Land ownership is a bundle of rights. As buyers of property, we should know the physical limits of certain rights such as where the property ends or where the easements are located. Surveyors have the experience and equipment to provide that information.